ProBiotics are essential to a daily nutrition plan! Not all bacteria are bad for you.In fact, there are many that are not only good for you, they are necessary for your survival. We often we relate bacteria to germs that cause disease, but the human body is made up of billions of bacteria that provide helpful, necessary functions in the human body. These are what we generally refer to as "good" bacteria. The term "probiotics" describes foods and nutritional supplements that contain the same "good" bacteria naturally found in the body. 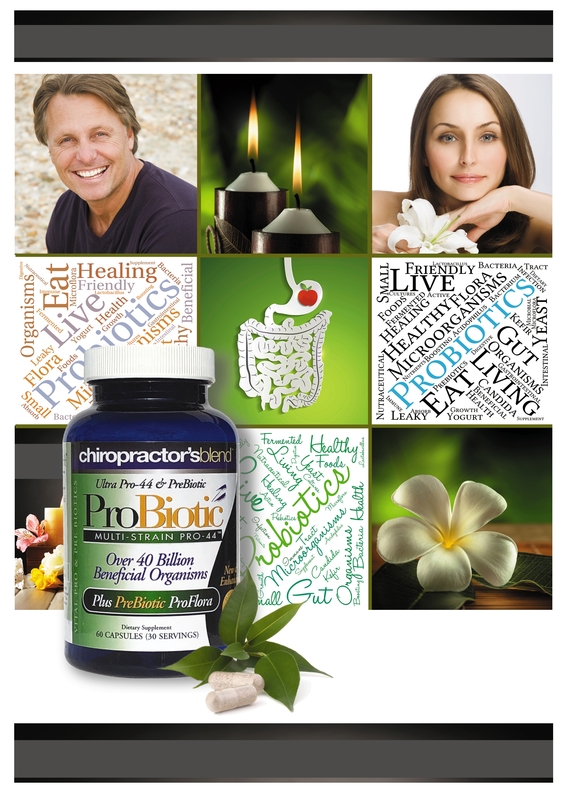 The word probiotic comes from the Greek ’for life’, and it refers to ‘friendly bacteria' that live naturally in the gut. Many of us have sufficient Good Bacteria in our intestinal tract; however for individuals suffering from digestive disorders such as Chronic Irregularity and Irritable Bowel Syndrome, probiotics may be of significant help. 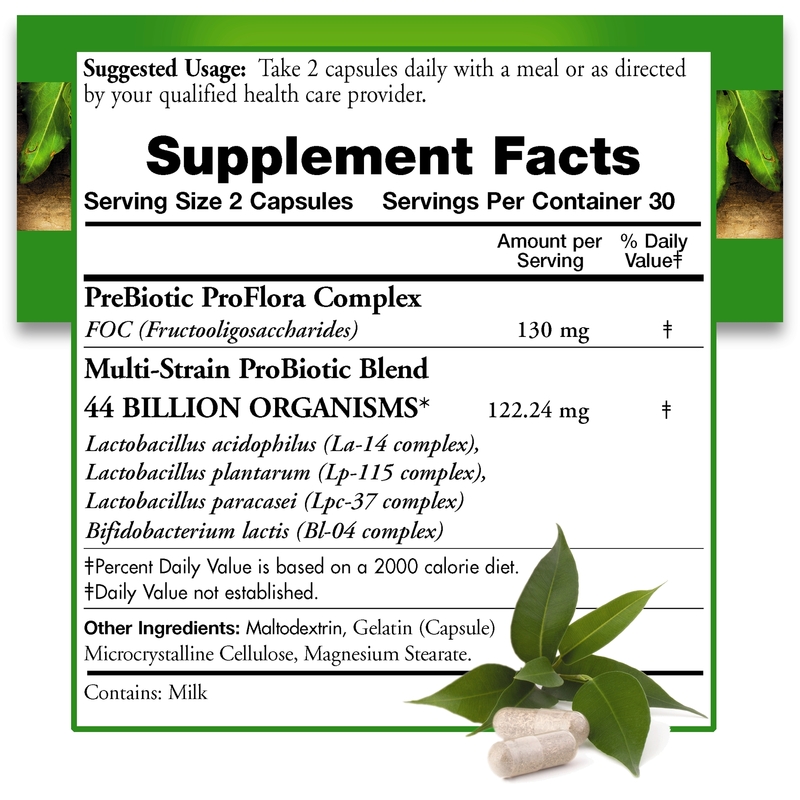 Probiotics are a natural way to help balance the body's internal bacterial environment. There are also many foods that contain natural probiotics as a by-product of their production, including yogurt, buttermilk, and various soymilks. A 2015 study conducted in Germany, found that a group of employees who took the probiotic Lactobacillus reuteri experienced significantly fewer bouts of loose stool (diarrhea) than employees who were not taking the probiotic. Randomized double-blind studies have provided evidence of probiotic effectiveness in cases of acute diarrhea and antibiotic-induced diarrhea. Research studies have also provided evidence of effectiveness aid with traveler's diarrhea and even urinary tract infections. These healthy bacteria help us properly digest our food, protect us from pathogens (harmful microorganisms), help us detoxify harmful compounds, produce vitamins and other nutrients and benefits our immune systems. But if you are to begin taking this type of all natural supplement, what should you be looking for? Well, first, you are looking for a mix of strains of bacteria, most notably different strains of Lactobacillus and Bifidobacterium, often on labels as "L." something and "B." something.Those are the strains that currently have the most evidence of being of benefit to the human intestinal tract. One way to determine whether a particular supplement is of high quality is to see if the strains are purified, genetically characterized and registered, and this is most often demonstrated by letters and numbers listed after the name of the strain (such as La-14 or Bl-04). The next most important factor is just how much bacteria is in the supplement? This amount is often measured in CFU (Colony Forming Units), which is also the same thing as the Number of Organisms expressed in billions. There is no set dosage, as each person's internal environment is different; however, very low dose supplements of 1 to 2 billion organisms are less likely to have a beneficial effect than supplements with 20 – 40 billion organisms. Extreme cases may find benefits at dosages even higher than that, but in general, maintenance dosages of 20 – 40 billion organisms should serve most people's needs. Healthy bacteria—it's good for you! Thank you for a wonderful product and a fast delivery. Excellent product! Will purchase again!